European Corrosion Medal will be delivered at EUROCORR 2017, 20th ICC & Process Safety Congress 2017. Mário Ferreira, CICECO researcher and director of the Department of Materials and Ceramics Engineering (DEMaC) at the University of Aveiro (UA), was once again distinguished by the European Federation of Corrosion (EFC) with the European Corrosion Medal. The award will be presented during the EUROCORR 2017, 20th ICC & Process Safety Congress 2017 Congresses, which will take place in Prague from September 3 to 7. 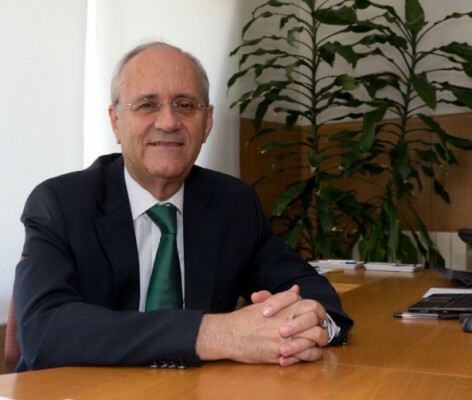 In 2014, Professor Mário Ferreira was awarded the Cavallaro Medal, created by the University of Ferrara and awarded, since 1965, to a scientist who has distinguished himself particularly for his activity and publications in the field of corrosion. The medal was awarded to him during EUROCORR 2014, held in Pisa, Italy. In 2013, Mário Ferreira was also honored with "H. H. Uhlig Award "from the Corrosion Division of The Electrochemistry Society (USA), a prize created in 1972 to recognize excellence in research and technical contributions relevant to the field of corrosion science.